A cleansing water for sensitive skin. I like. This is apparently a cleanser that makeup artists swear by during fashion week to help ease the sting on models’ faces caused by the constant application and removal of makeup. I use them to refresh my face and remove my makeup once I reach home without having to go through the hassle of washing my face before a shower. I just soak a cotton pad in it, and wipe the dirt off. When I wash my face with a foam cleanser when I take a bath later, I know my face will be squeaky clean. 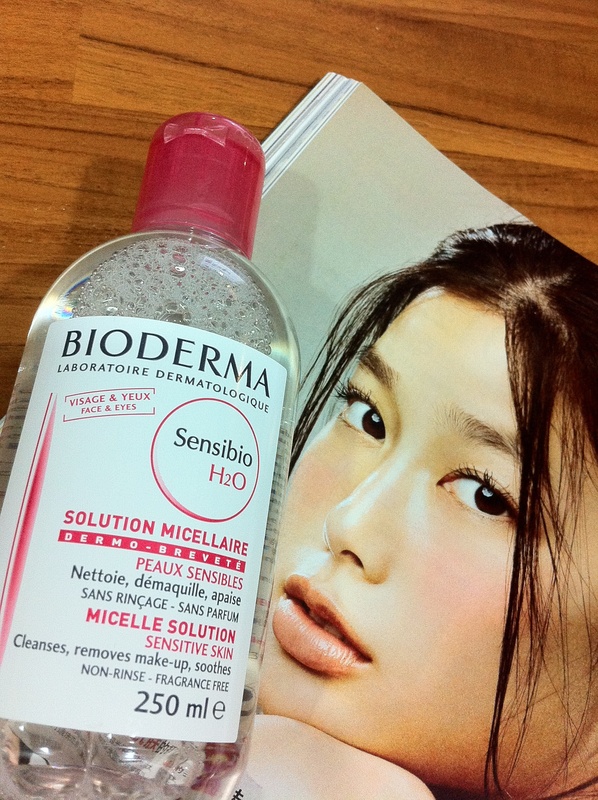 Bioderma’s Sensibio from France is fragrance-free, hypoallergenic, and you don’t have to rinse it off because this is water. I can feel it hydrating and soothing my skin as I remove my makeup with it. The soaked cotton pad glides over my skin without pulling and there’s no tightness or stinging that you can get with other water cleansers/toners. It also managed to remove the most stubborn of eyeliners and mascaras although I had to go over the area gently like four times with a soaked cotton pad.